Here is a unique teacup to add to her collection! 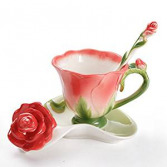 This 3 piece teacup/saucer set in RED comes with a matching spoon. 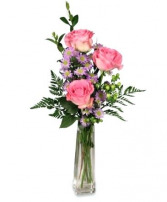 The bonus is the custom flower arrangement that we will design in this teacup. 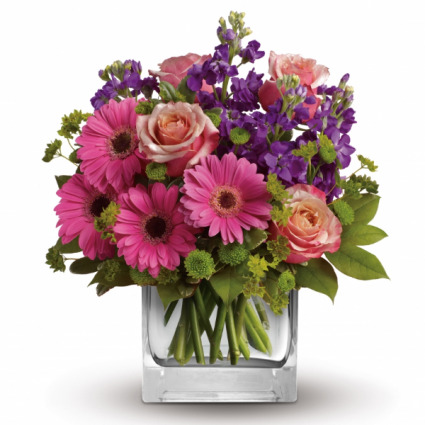 Definitely a special Mother's Day gift! 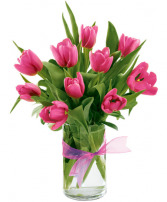 One dozen tulips in select colors based on availability. The exact color displayed in the picture is not guaranteed.